The game designers need to put power-ups and upgrades throughout the game that allow you to experience the same areas in different ways, otherwise the game will get boring fast. Some upgrades may simply make you stronger, so that enemies take less hits or you take more hits before dying. Another may introduce ranged or guided attacks that allow for a safer and simpler enemy encounter. Alternatively, you may gain a movement based upgrade. Maybe you change shape and can fit in spaces you previously could not, or attach to walls or ceilings to access new locations. All of these upgrades change how you interact with an environment you had previously approached in a less advanced state. My favorite video game power-up combined the two types above, allowing for complete freedom of movement and a new extremely effective attack style. 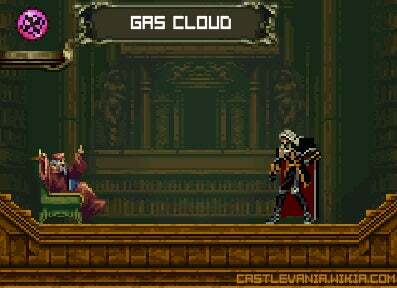 My favorite video game power-up is the Gas Cloud transformation from Castlevania: Symphony of the Night. Now, right off the bat, let’s get this out of the way. I am cheating. I am talking about two power-ups... technically even three. These upgrades are stacked onto the same action, and I am talking about what you can do when you have the fully upgraded action. The first upgrade you will need is a simple transformation that allows you to pass through a few walls, and with some skill it allows you to briefly avoid some enemy attacks. Even before you gain the power-up, during your exploration you are likely to encounter at least one grated wall, and when approached a message foretells this upgrade. The first power-up you will need is the vampiric transformation into mist. This first transformation is brief. You change to mist, move a few inches across the screen, and then revert back into your humanoid form. The second related upgrade you are likely to find, Power of Mist, allows you to hold the mist form and fly freely to ledges inaccessible by your normal, or even double, jumps. Flying movement is unlikely to be new at this point in the game though, because you will have already found the Soul of Bat, which allows for vampiric transformation into a large bat. 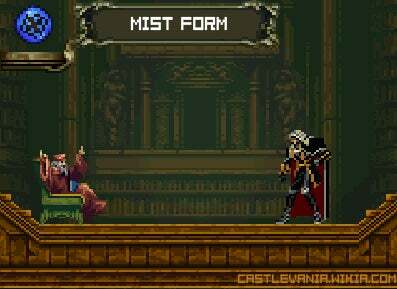 In mist form there is an advantage in that enemy attacks will pass right through you, so Power of Mist does allow for safer travels through areas, whether you are flying or just traveling along the ground. Even with that advantage, it is not really all that game changing. 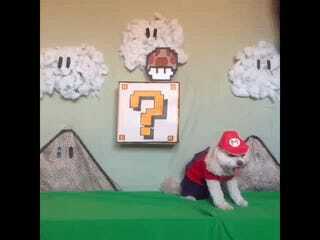 The final upgrade, Gas Cloud, is when the transformation becomes truly game breaking. The Gas Cloud power-up allows you to do a constant stream of damage to any enemies that are engulfed by your mist form. You do not get this final upgrade until fairly late in the game, at a point when game breaking is completely earned and welcome. With Gas Cloud even your most hated enemies are reduced to pitiful, irrelevant nothings. Power of Mist lets you avoid any unwanted encounters, but Gas Cloud allows you to take sweet, sweet revenge against all those monsters who have caused you any grief. SotN is also a game where enemies drop items, both a common and a rare. For completionists, or even just someone targeting a particular drop for its utility, Gas Cloud can be a godsend. Well designed Metroidvania games dole out new abilities at a constant pace, each building on the others to create an ever evolving experience. Castlevania: Symphony of the Night is my favorite of the genre, and once I was able to use the Gas Cloud ability, I was playing one of the greatest video game experiences of my life. I just wish that the same power-up was available in nearly every other game I play.